Speaking to AAB, Prasanna Murthy N, Executive Engineer, K U W S & D B said that water level in Rakaskop reservoir is 2448 which the top level of lowest outlet of the dam fixed to intake tower. The full reservoir level is 2475. On the same day last year water level was 2452 . Due to reduction in water level is resulting in reduced the flow of water by gravity from Rakkasakoppa dam to Pump house in Hindalga from where water is being pumped to Lakshmitek treatment plant is now only 3 MGD. To increase flow from dam to Hindalga two pump sets are installed in Rakkasakoppa dam and additional quantity of water is being pumped. In spite of this water is sufficient for only one pump set of 600 HP instead of two numbers of 600HP. The supply from Rakkasakoppa dam has reduced to 4 to 5 MGD as against normal supply of 12MGD of water. 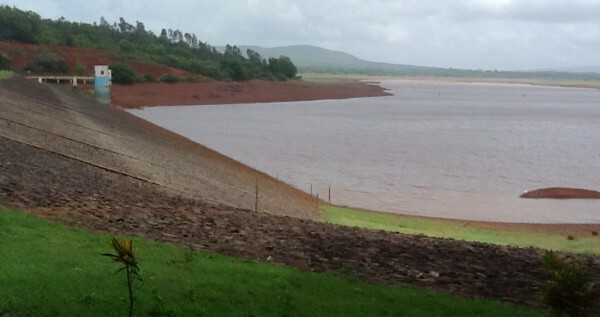 The present storage in the dam may last for another 8 to 10 days if water is drawn at same rate.